A Voronoi Diagram is a pattern that looks like the skin of a giraffe. It consists of sites (if you are standing in a cell, then you are closer to this site than any other site in the diagram), cells, and edges. Each site has a cell and the border of the cell is the edges. If you are standing on an edge, you have the same distance to travel to the two sites that are on each side of the edge. 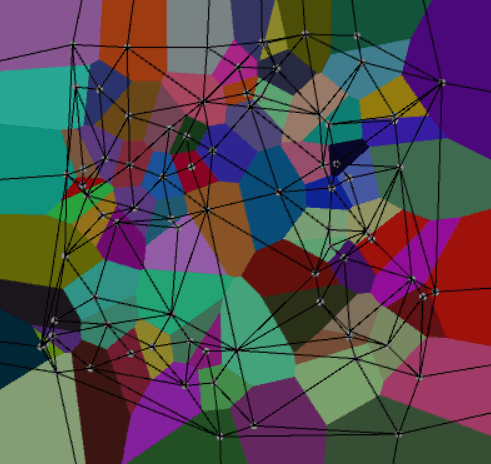 As usual there are more than one way to create a Voronoi Diagram, and we are here going to use two algorithms: An incremental algorithm where we add one site at a time and an algorithm that finds the voronoi diagram by using the delaunay triangulation. This is the main class which you should add to an empty gameobject. These are the classes that will take care of the construction of the voronoi diagram. Make sure you've the code from the delaunay triangulation. 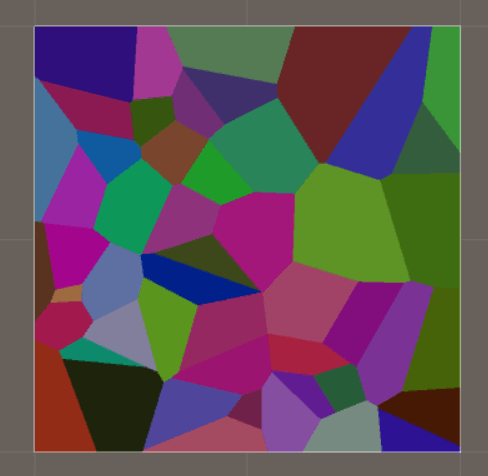 I found the idea for this algorithm here Algorithm for generation of Voronoi Diagrams. 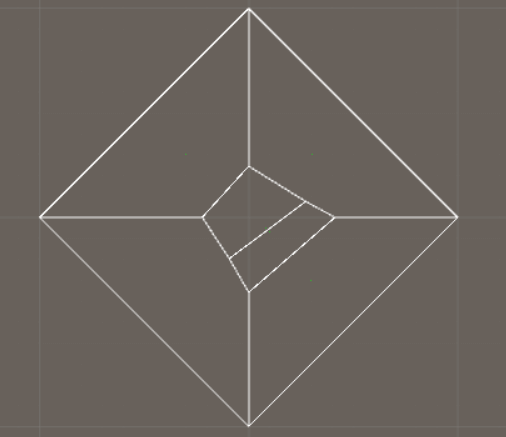 According to the site you don't need to care about floating point precision, but I discovered that you need because this algortihm will sometimes make some voronoi edges disappear. 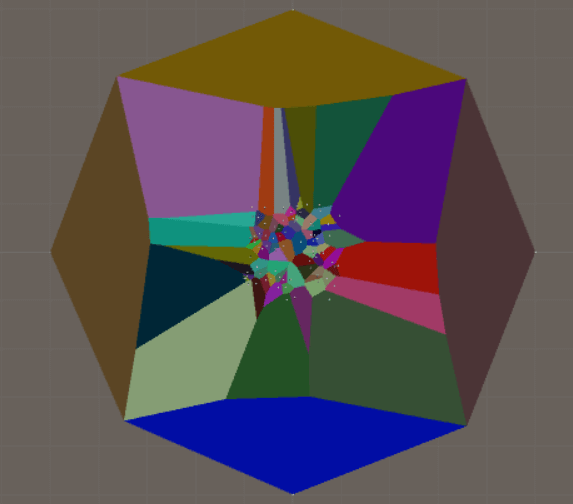 So the voronoi-from-delaunay algorithm is more stable, but I've kept this algortihm here in case someone needs it. You may use the voronoi-from-delaunay and then this algortihm to add more sites if you need, but then you need to modify the code. The difficult part here is to cut the edges. The webpage says that we should "Test the spatial relationship between e and pb." This means that we should test on which side an existing edge is in relationship to the perpendicular vector. 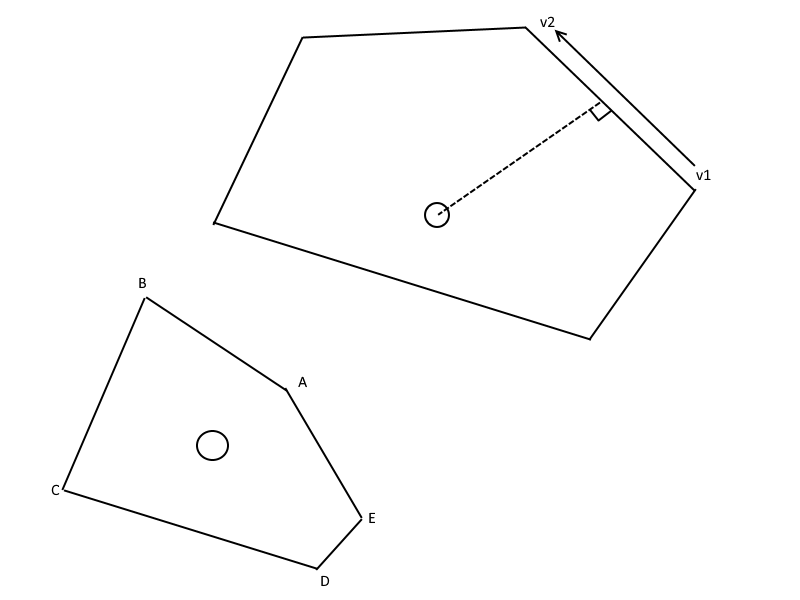 To make this work, we need to know which side of the perpendicular vector a point is. 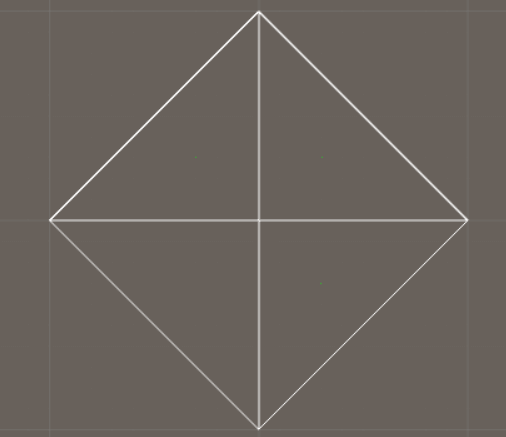 This means it is really important to orient all perpendicular vectors in the same way - all of them have to point in the same direction. 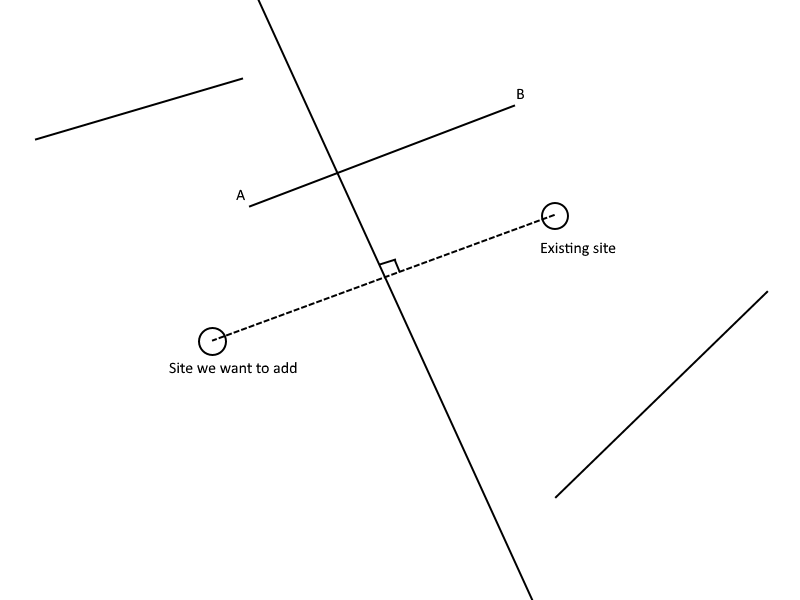 And I've here decided that to the left of the perpendicular vector should the site we want to add be, and to the right should the existing side be. As seen in the image above, we have 3 cases. If the edge is to the left of the line, then delete it. If an edge is to the right of the line, then ignore it. 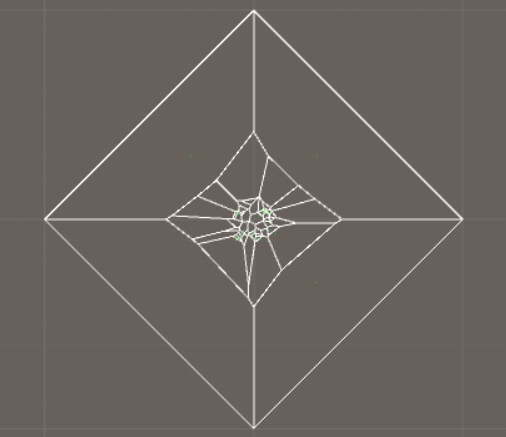 If an edge is intersecting with the line, move vertex A (which is to the left) to the intersection point. This sounds simple inte theory, but fails miserable when implementing it in Unity. The problem is floating point precision issues. 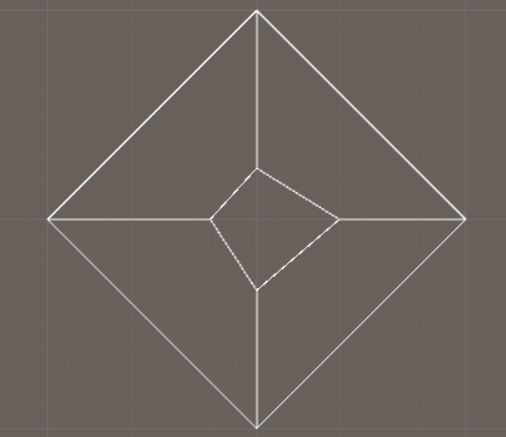 When we cut a line, the intersection point will not be exactly where the intersection point is in theory, so to make it work we have to use a tolerance, which I've from experimentation determined that it should be 0.001. So if an edge is to the left or 0.001 to the right of the perpendicular vector, we say the entire edge is to the left and we should delete it. Remember to use the data structures from the first page, such as Edge, and everything should be in x-z-space (Create a new Vertex object with a Vector3 as its position and where y = 0). You also need to know how to find out if a point is to the left or to the right of a plane, if a line and plane is intersecting, and the coordinate of intersection between a line and plane. If not, you can find them here: Useful Algorithms. To be able to connect the edges, we first have to make sure they have the same orientation, which is counter-clockwise around the site. So we end up with edges that goes from v1 to v2, but we don't know which edge comes after another edge. 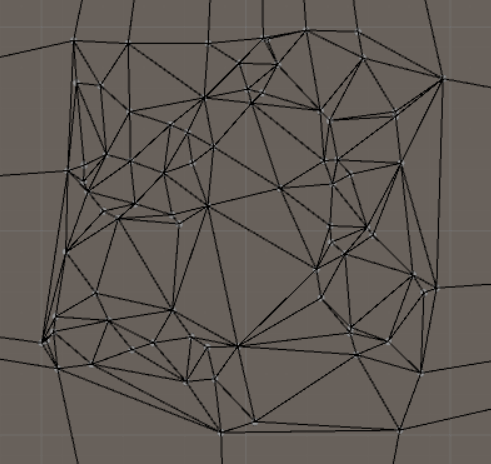 What we want a list with coordinates that goes from A-B-C-D-E if we have 5 vertices. To connect the edges we check how close and edge's endpoint (v2) is to another edge's startpoint (v1).